Thank you for choosing Helton Hearing Care to be your hearing healthcare provider. To help your appointment run smoothly and on-time we have created a check-list of things you will need to bring to your appointment. A list of any prescription or over-the-counter medications as well as herbal supplements that you may be taking. Some of them can affect hearing or balance so we like to be aware of them. Your Medicare card or other insurance cards, if applicable. Your Doctor’s referral if you are planning to submit your services to Medicare. 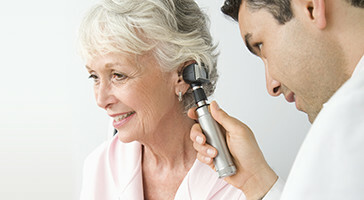 To ensure accurate test results, it is important that your ears be free of cerumen (wax) buildup. If you know you have cerumen issues, please have your ears cleaned by your physician as far in advance of your appointment as is possible. If you are unsure, stop by our office at your earliest convenience and we will be happy to determine whether you need to have your ears cleaned. Below are the forms to fill out prior to your evaluation , including , for your information, HIPAA notice. Please bring them with you when you come in. If you have any difficulty or having questions, please don't hesitate to call our office at (406) 586-0914. Thank you again, and we look forward to seeing you soon.